24 pcs per pack 16x8mm Oneside Small Lady Guadalupe charm antique Silver Finish Lead free Pewter. 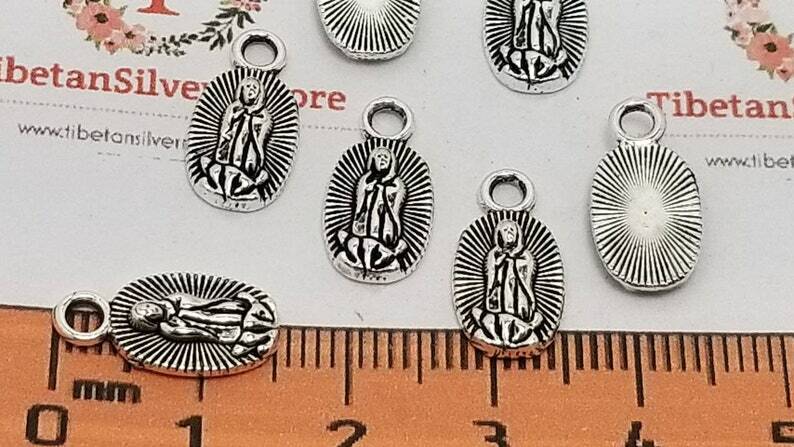 12 pcs per pack 28x10mm Medium size Lady Guadalupe Charms in Antique Silver, Gold or Copper lead free Pewter. 16 pcs per pack 19x12mm Printed Sugar Skull Reversible Charm in color to choose Lead free Pewter. 8 pcs per pack 35x20mm Medium Caravaca Cross Antique Gold Lead Free Pewter. 6 pcs per pack 28mm Star of David & Pentacle Coin Charm in Antique Silver Lead free Pewter.